Motivational speeches impact masses to action, to clarity, to higher purpose and sometimes trigger the spark they needed. Hence, it's important to deliver a quality speech. If you haven't been a speaker yourself, but intend on giving a motivational speech sometime in near future, here are 4 things you need to keep in mind the most. Read ON! Almost everyone has two sides, like a coin, one that you see and one that needs a push to reveal itself, that is, your dreams. Many motivational speakers and social media influencers have tried to give that push to the people who lack motivation, inspiration and a vision to what they want in life. A truly optimistic person will always try to spread the nature of being positive among the people around him. A lot of people need the motivation to take risks, to achieve their goals and to walk towards the path no one has yet tried. Even when I want to get my homework done, I look forward to motivation. A speech is basically a useless content, if it does not serve a purpose. Especially when it comes to motivational speeches, a purpose is a must requirement. What are you going to talk about, what is the goal of this speech and why is it so significant for the audience, all of these are questions you must keep in mind while creating content that might become a source of true inspiration for someone someday. When you think about motivating someone, you must always include good, mostly real life, examples to inspire your audience. Real life examples and motivational quotes by people are obviously found to be more reliable and are considered no less than words of wisdom, for those who want to have an idol in their life and to look up to that person when they want to go ahead, and make their dreams come true. 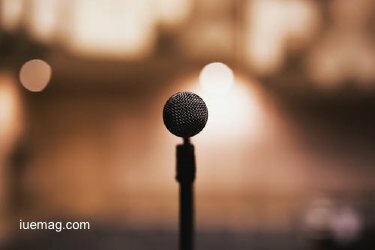 It might seem a bit judgemental at the audience’s end, but it is true that a speech and how it will affect the audience mostly depends on the way you begin the speech. Opening from a quote or an example is generally good. It helps you win the trust of the audience that you know what you are talking about. Involvement of an audience is of paramount importance. You talk about relatable things and allow a question and answer session to help them out with their fears and doubts, is what has always been appreciated the most. When audience participates, they are able to understand the purpose of the speech and further look for optimism and motivation in what you actually wanted to deliver. The goal is loud and clear, that is to speak in a way that reaches the hearts of your audience. Just like a thesis rush situation, motivational speeches too need purpose and focus. Use these tips to write an outstanding speech and make the world, a better place. Any facts, figures or references stated here are made by the author & don't reflect the endorsement of iU at all times unless otherwise drafted by official staff at iU. This article was first published here on 1st February 2019.